Tsutomu (Kei Tanaka) belonged to an organized crime group. He left the gang and now raises his niece Karin (Miku Iwasaki) alone. His older sister, who worked as a judicial scrivener, passed away. He spends his days peacefully. Then, Tsutomu's friend goes through an unfair dismissal and the family of Tsutomu's helper, Eiko (Kanna Moriya), are forced to move out from their house due to an unfair deal. Karin becomes hostage. Based on manga series "Funtou (Kibare)! Bittare" by Takashi Tajima and Masahiro Takahashi (first published June, 2013 in monthly manga magazine Play Comic). 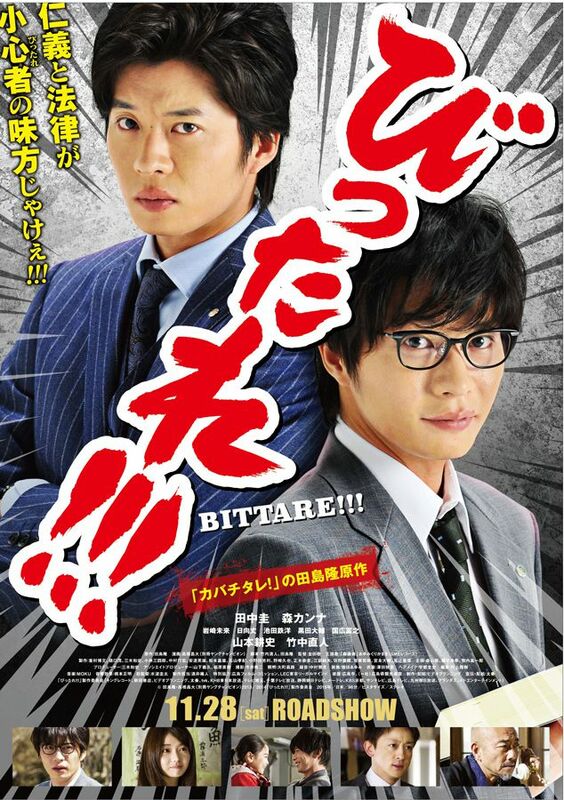 Movie "Bittare!!!" will feature an original screenplay by Takashi Tajima and Masahiro Takahashi. "Bittare!!!" means timid person in the local dialect of Hiroshima.